For US Citizens – No Visa is required for non-extendable stay of up to three months. 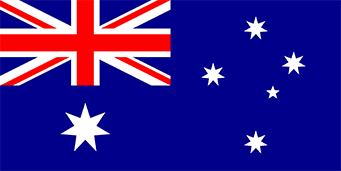 Australia joined the US Visa Waiver Pilot Program in July 1996. However, an Electronic Travel Authority (ETA) is required. The ETA should be obtained approx 30 days before departure, as rejection may take a few days to resolve. The ETA can usually be issued by most travel agents or by telephone with the Australian-bound airline carrier. A business letter of financial responsibility is required to be typewritten on the company letterhead, and addressed to: “Embassy of Australia, Visa Section, Washington D.C.” The letter must explain the purpose of travel and duties to be performed in Australia, and guarantee financial support for the applicant while in Australia. If attending a conference in Australia, a copy of the invitation may suffice in lieu of this letter. Your application will be hand carried to the Embassy and is usually processed in 3-5 business days although some countries can take up to 2 weeks. Visa applications not fully completed may result in delays in processing. Try not to leave any question blank. Tourism is considered to be sightseeing only. If attending a conference or visiting a business associate, follow instructions for business visa. Passport must contain two blank facing pages in order for a visa to be issued. Special requirements exist for Official and Diplomatic passport holders.